It’s happening! 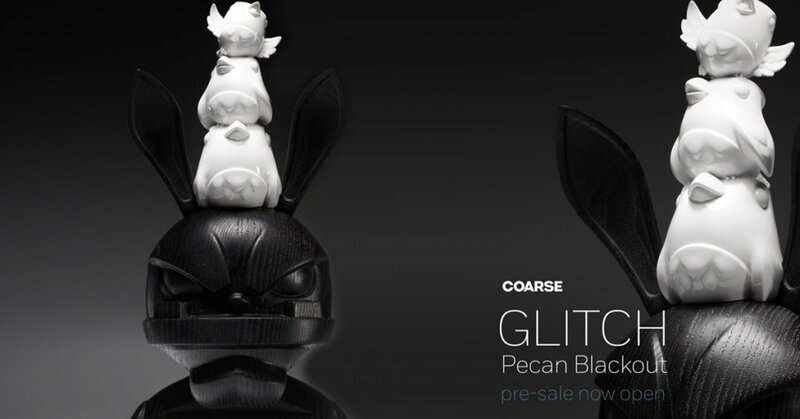 Yesterday COARSE announced the all-new edition of GLITCH Pecan Blackout! TODAY the Pre-Sale has opened up well kinda. COARSE F&F member will have the first dibs before December 1st when they go on general sale. Beyond our wallets but we can sit back and be in awe at the craftsmanship that’s gone into GLITCH. Glitch – Pecan Blackout is entirely crafted in our Los Angeles studio and due to the work-intensive process is limited to only 25 pieces. Each figure stands 10.8” [approx 27.5 cm] tall and will arrive in a screen-printed wooden box. Glitch – Pecan Blackout general sale will be available on December 1st at the following times, exclusively at coarse.shop HERE.